If you have every looked to purchase bird seed then you know that there are dozens of mixes, recipes, concoctions, and variations of seed available. Regardless of the seed, you choose most mixes are made up of a pre-set wild bird “friendly” list of bird seed. For the curious we have comprised a list of popular types of bird seed so that you can better understand the components of the seed and which birds will come running for specific types of bird seed. The list below is no particular order. Each bird seed available has its strengths and weaknesses. You may find that your results vary compared to our comments here. To say that it is more of an art than a science would be appropriate! Black oil sunflower seed is regarded by many wild bird aficionados as the #1 choice for attracting the largest variety of wild birds. It is no suprise that it is also one of the most cost effective seed options available. 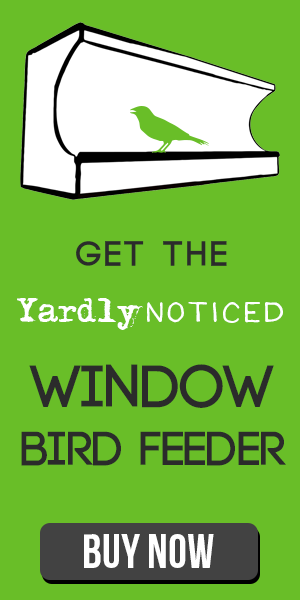 It offers the best opportunity to attract birds to your yard and feeder. Often confused with is black oil cousin, the striped sunflower seed is generally preferred by larger wild birds. Cardinals, Jays, and other larger type birds find this seed irresistable. Not all birds have the physical attributes to crack open sunflower seeds. For those birds, they will appreciate hulled sunflower seeds. This variety of sunflower seed will attract nuthatches, sparrows, wrens, chickadees, finches, jays, titmice, mockingbirds, just to name a few. This seed is popular if you like things tidy around the feeding area as there are no shells left behind to make a mess. Many also enjoy using these on decks and patios for loosely throwing them out and enjoying watching the birds pick them up. Nyjer is popular with squirrel haters as they tend to ignore this seed. If you are trying to repel squirrel add some nyjer seed to your mix. Finches, however, find it wonderful. It is generally regarded as their favorite seed. Safflower seed attracts many of the same bird varieties as the black oil sunflower seed. It is well liked by many types of birds including finches, chickadees, grosbeaks, jays, nuthatches, jays and more. Squirrels are not fond of safflower seed. Millet seed comes in many color variations such as white, red, and gold. It is a smaller roundish seed offered in mixed seed recipes. Birds who feed from the ground tend to enjoy it such as sparrow, quails, bobwhites, doves, and juncos. Milo seed is not highly regarded and will generally be found in lower end seed mix recipes. Even so, it will still attract doves, quails, sparrow, and tohees. Cracked corn is very much as the name implies. Corn that has been broken into smaller pieces makes up this popular bird feed item. Birds who eat from the ground enjoy it such as pheasants, grackles, jays, blackbirds, doves, and towhees. Peanuts should be familiar. Afterall, humans seem to like them as much as any bird. Peanuts are a popular seed for woodpeckers, chickadees, jays, crows, titmice, and other birds. The issue with peanuts is that they tend to attract more attention then that are worth. They have been known to be favorites of raccoons, bears, and squirrels as well. Suet is not a bird seed but it is a very popular item for bird feeding. Suet is made from mammal fat, mostly from beef. You will find suet along side the bird seed section of a store. Suet is commondly mixed with bird seed, peanut butter, and berries to make it an alluring combination for many birds. Wrens, woodpeckers, nuthatches, and chickadees especially enjoy suet.